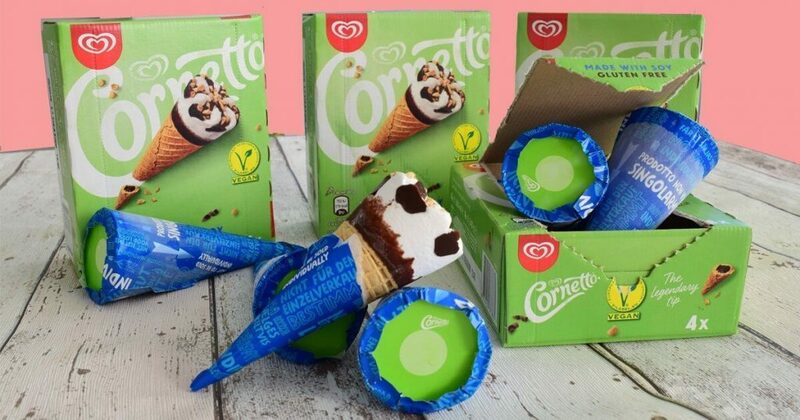 The UK will soon be blessed with even more vegan products, as international brand Cornetto introduce their new plant-based ice cream. The product will be launched next month at Sainsbury’s “to meet the growing demand”, as reported by PETA. The “creamy” ice cream cone is made from soya, and is topped with nuts and vegan chocolate. It is gluten-free and, of course, free from all animal products. 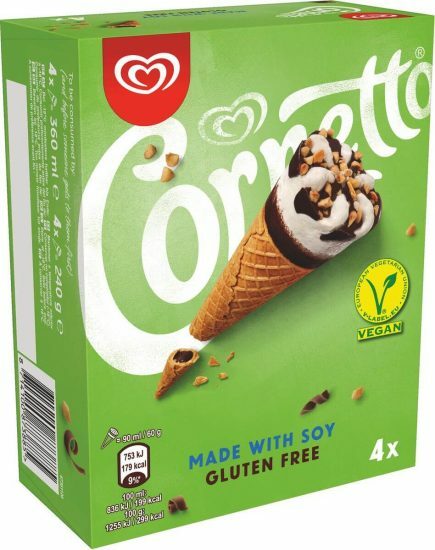 The announcement comes after the success of Cornetto Veggy in Italy last year, suggesting that demand for veganism has continued to grow. It was recently reported that the vegan ice cream market is set to hit a value of $2.5 billion in coming years, as consumers increasingly opt for meat- and dairy-free alternatives. Popular ice cream brand Ben & Jerry’s pleased foodies around the globe last year by introducing tubs of vegan ice cream. Other companies appear to be following suit; Aldi has released similar dessert items, while other names in the industry have also launched vegan ice cream products. Society is holding a health-conscious attitude more than ever before, leaving shoppers looking for greener and cleaner products. By default, vegan ice cream contains no cholesterol. Additionally, dairy is the number one source of saturated fat, making this upcoming product as guilt-free as it gets.